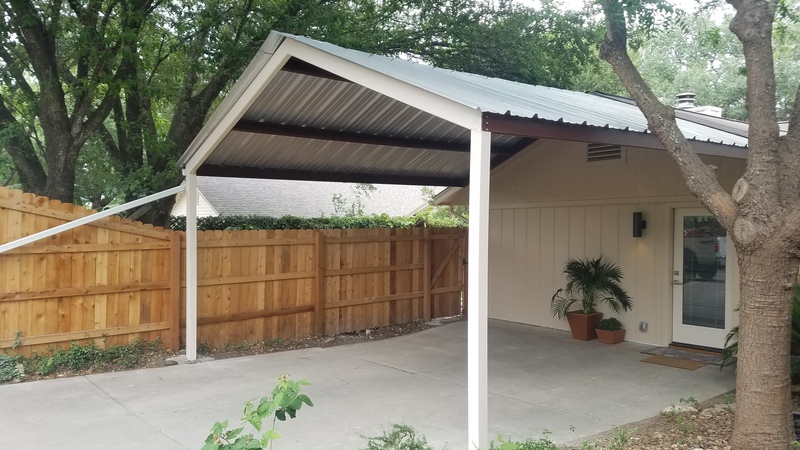 North San Antonio 18'x18' Custom Gabled Carport - Carport Patio Covers Awnings San Antonio - Best Prices in San Antonio! North San Antonio 18'x18' Custom Gabled Carport This small, simple 18'x 18' carport adds the best protection money can buy to your home. 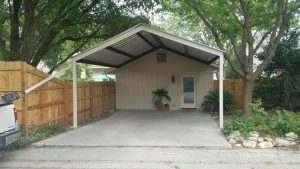 With all of the recent hail damage to homes and vehicles, why keep testing nature? 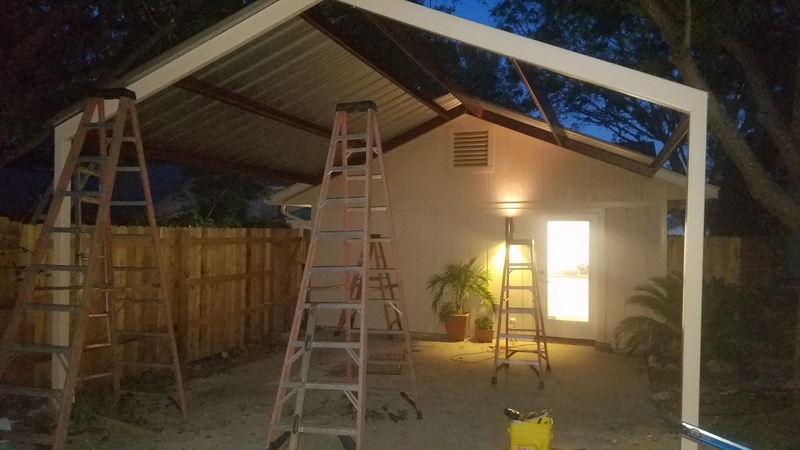 Our structures will last as long as the lifetime of your home. Each post is either attached to pre existing concrete slabs, or we bury it in 24" of concrete. Each carport or awning is built to last, and to improve the exterior of your home. 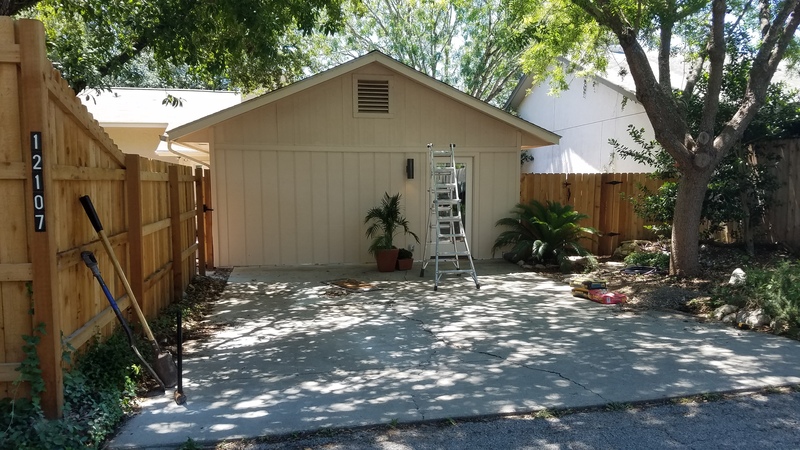 If you need to protect and cover your vehicle or other valuables and you want professional grade materials, then look no further. 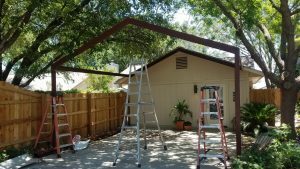 Our carports and awningsare not a kit or portable canopy, they are fully constructed steel buildings installed by the owner himself. Increase The Value Of Your Home! 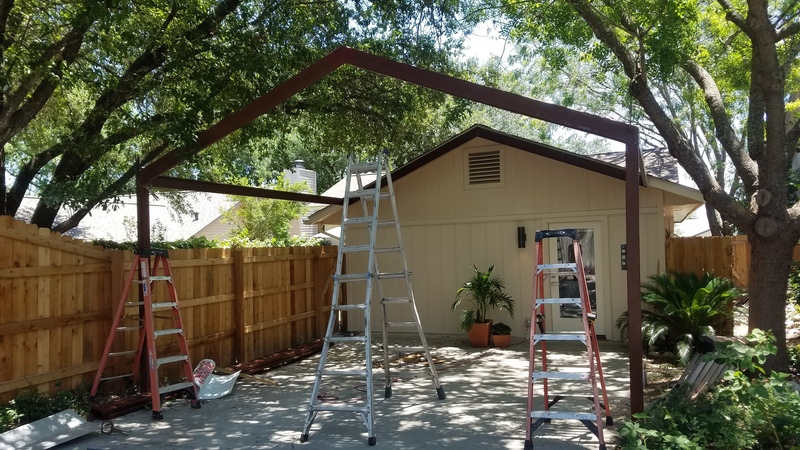 A well-known fact is that permanent steel structures add value to real estate and enhance the landscape of your home. With our solid structures that we can customize the colors of both the roof and trim, they will do just that!